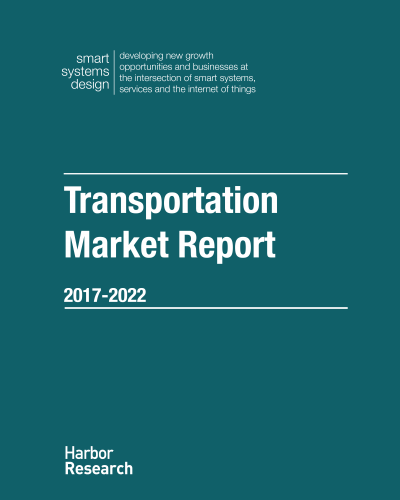 This report’s analysis focuses primarily on the impact of autonomous vehicles across the transportation vehicle segments, paying particular attention to passenger cars and how the true value of this technology will be realized. From airplanes and ships to trains and cars and trucks, the ways in which we move people and things from point A to B is a foundational component of our economies and livelihoods. Together, these disparate methods of transportation are pieced together to create continent-spanning supply chains and to increase the mobility of people and ideas. Macro-shifts in consumer buying preferences and increasingly-global business operations have placed tremendous strain on our ability to transport goods and people to where they need to go. Harbor Research brings clarity to these uncertainties and provides readers with a definitive view of tomorrow’s technological landscape by designing reports which inform readers on what they need to know if they want to capture the incoming opportunity.